Appetite Suppressing Supplements: Conquer Your Hunger! 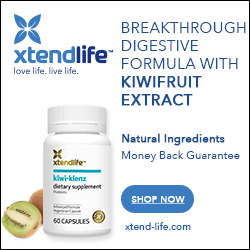 Home » Appetite Suppressants » Appetite Suppressing Supplements: Conquer Your Hunger! You will be constantly be battling hunger and cravings. Your metabolism will slow to crawl, making it even more difficult to lose weight, once your body has adjusted to this drastic reduction. You increase the risk of losing muscle mass. Since muscle tissue is metabolically active (i.e., it requires calories even at rest) it is a critical contributor to your metabolism. Should you lose a lot of muscle mass, it will be extremely difficult not regain all your weight and then some, when you cease the diet program and return to your regular schedule. The key then, is to only moderately lower your caloric intake. That said, you may still find yourself battling hunger pangs occasionally. There are some things you can do to fight this; drink 6-8 glasses of water per day (one prior to each meal) and ensure your diet contains ample amounts of high-fiber foods. Quite simply, doing this helps you feel “fuller” longer, delaying the “I’m full” message being delivered to the brain. Glucomannan: (recommended! ): Glucomannan is a simple fiber supplement, backed by some decent clinical research. It will help you feel fuller, longer. Cha de Bugre: There is no clinical evidence validating Cha de Bugre’s appetite suppressing qualities. Still, anecdotal reports suggest it’s helpful, and it’s cheap enough to warrant an experiment. Slim Shots: A palm and oat oil blend used for appetite suppression and satiety. Clinical studies suggest it is useful, but visitor feedback is mixed. Synephrine: Derived from the bitter orange plant, clinical data suggests only the most modest weight loss effects. Anecdotal evidence suggests a mild appetite suppressing effect. Hoodia gordonii: A south African succulent, and for a while the most hyped weight loss supplement on the Internet, anecdotal evidence suggests appetite suppressing characteristics. Thermogenic fat burners: Some people find that stimulant based fat burners are helpful for suppressing hunger pangs. Irvingia gabonesis/African Mango: African Mango’s benefits for weight loss have been established in a clinical study. It has also been endorsed by Dr. Oz. Nonetheless, there’s good reason to remain skeptical and not to buy into the hype surrounding this supplement.